Picky Palate's Walking Tacos. These would undoubtedly be a big hit. Sophistimom's Monster Cookies. These look amazing and I think it would be cute to substitute M&Ms for the chocolate chips. And if you want extra points, you could do M&M's in the colors of the team you are rooting for. Kara's Game Day Cheese Dip (pictured above). This is a no brainer. Individual pizzas made in muffin tins! I originally saw these on my cousin, Carrie's blog and she made them for a fun week night meal, but they'd make great Super Bowl food as well I think. Pioneer Woman's Mushroom Swiss Sliders. The picture alone will get your mouth watering. I don't think sliders will ever get old. If you've got any good Super Bowl Food that you've made or are thinking of making, share the links in the comments. We'd love to see what you've got up your sleeve. And if you missed it, scroll down to see my recipe for chicken noodle soup. Have a wonderful weekend! How did I not know about Cjane in the kitchen?! Just added it to our sidebar. Thanks, Audrey! I just looked at the cjaneinthekitchen website... it looks like it's not affiliated with the actual C Jane. Looks like yummy food, though. 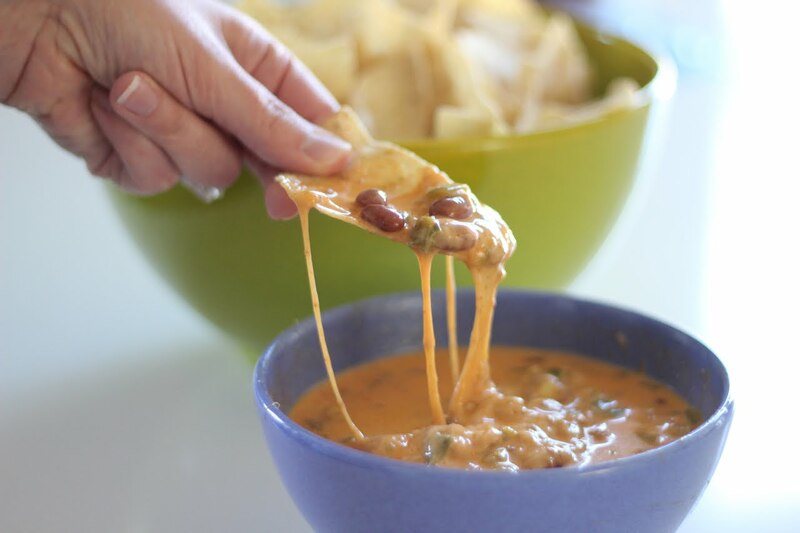 I don't know if I can resist Kara's dip - that picture of the cheese stringing all over the place has me drooling. Thank you, football, for giving us an excuse to get together and eat delicious food all day long. can i just say how much i love this blog? i made the oatmeal cookies tonight and they are SO. GOOD. usually i LOVE oatmeal cookie dough but i never think they're as good after baking. i think i just might beat you on the amount i eat, kara. so far i'm at 3, but there's no sign of stopping.